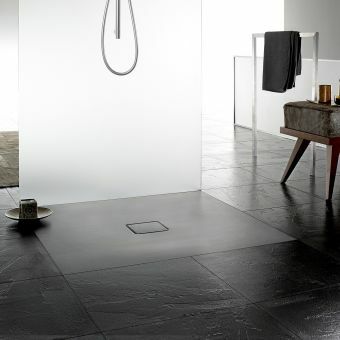 This Kaldewei Xetis steel shower tray is a truly revolutionary staple of bathroom design and will add a potent touch of sophistication and luxury to any bathroom. 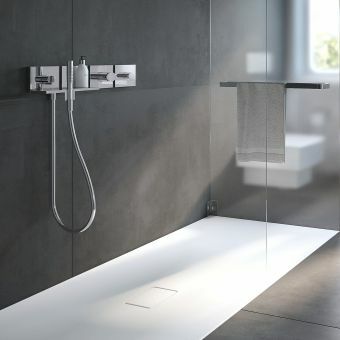 This piece has a number of cutting-edge features, notably its integrated wall outlet that will be hidden from view after installation, making for a neat, clean look. 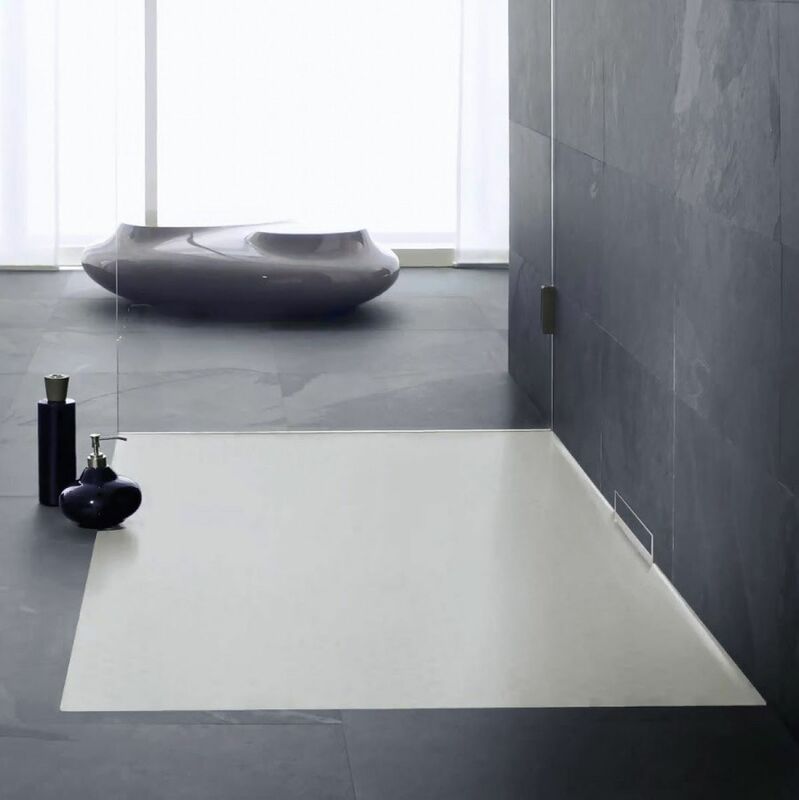 With no waste cover or other distracting features, the uniform surface holds a handsome, minimalist charm that works seamlessly with modern bathrooms. 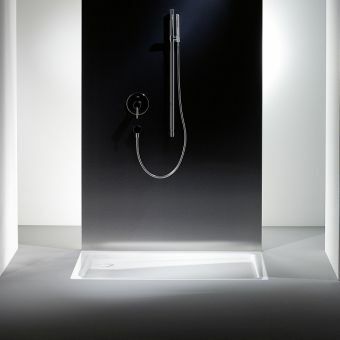 It is available in several sizes to suit whatever bathroom design style you have. 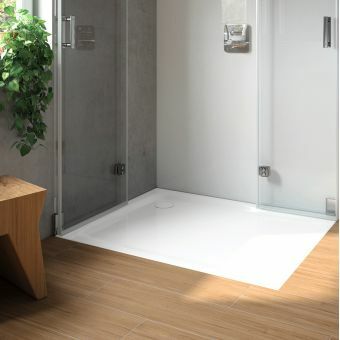 The Xetis steel shower tray is made from exquisitely sloped Kaldewei steel enamel, making it highly resistant to scratches and heat damage, and ensuring dependable drainage. 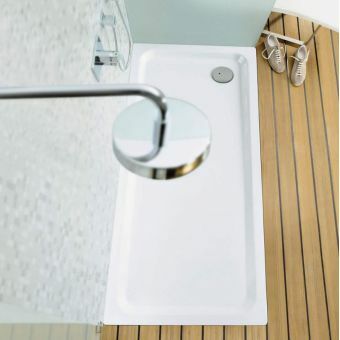 Furthermore, it’s 100% recyclable in line with Kaldewei’s sustainable manufacturing principles. 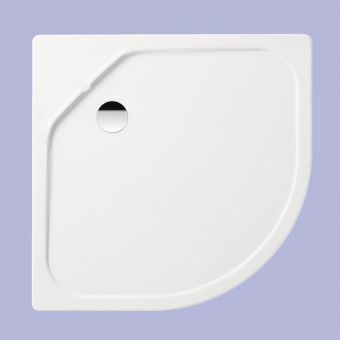 The joint-free surface of this unique tray means you’ll never have to worry about damage from moisture penetration. Available in Kaldewei’s easy-clean finish, buyers also have the option for anti-slip enamelling to ensure the surface is both practical and safe.